#AllPumpkinEverything season is upon us. And while I absolutely cannot get down with the Starbucks PSL (the sweetness level = instant diabetes, and the ingredient list is scary), I'm here for injecting pumpkin into every aspect of my life for as long as I can. And it wouldn't be right if I didn't start with my hair. I first heard about the Pumpkin-Kaolin Curl Detox (yeah I had to shorten that up) via the Soultanicals e-mail list, when Ayo announced the Fall Coilements bundle. It was love at first description read. I decided to buy that (and another pumpkin goodie!) along with the Knot Honey during the 30% off Fan Friday sale. And if you saw the post below on Instagram, then you already know how I ended up with a free Pumpkin-Kaolin Curl Detox, among other goodies. I literally could not wait to open the Pumpkin-Kaolin Curl Detox, because new products ALWAYS get my product junkie senses tingling. Was it a deep conditioner? A clay mask? A clay cleanse? All of the above? Exclusively on www.soultanicals.com - but it won't be back in stock until Black Friday! Distilled water infused with Horsetail, Sage, Nettle, and Coltsfoot: Rich in vitamins A, C, K, as well as vitamins, minerals, and chlorophyll to soothe and nourish the scalp. Encourages hair growth by improving circulation, reducing inflammation, strengthening the follicles, and reducing shedding. Pumpkin-Kaolin Clay: Silica rich clay that detoxifies, cleanses, and exfoliates hair and skin without removing natural oils or causing excessive dryness. Apricot Kernel Oil: Oil rich in vitamins A and E to support scalp health, healthy hair growth, and prevent hair loss. Helps fight signs of aging and damage in hair, and also protects the strands from harmful UV rays. Creamy and smooth! Not at all runny! First of all, this is the most beautifully blended mud masque for hair that I have EVER seen in my life. I mean, I thought my lil DIYs were doing something...nah homie. To be a clay-based mask with both kaolin and bentonite, it's smoooooth and about as non-gritty as it gets. That's impressive on its own - but we're just scratching the surface. The fragrance is also amazing - like a warm vanilla pumpkin spice. It's sweet, and pretty much wraps everything I love about fall into a neat little 8oz jar. 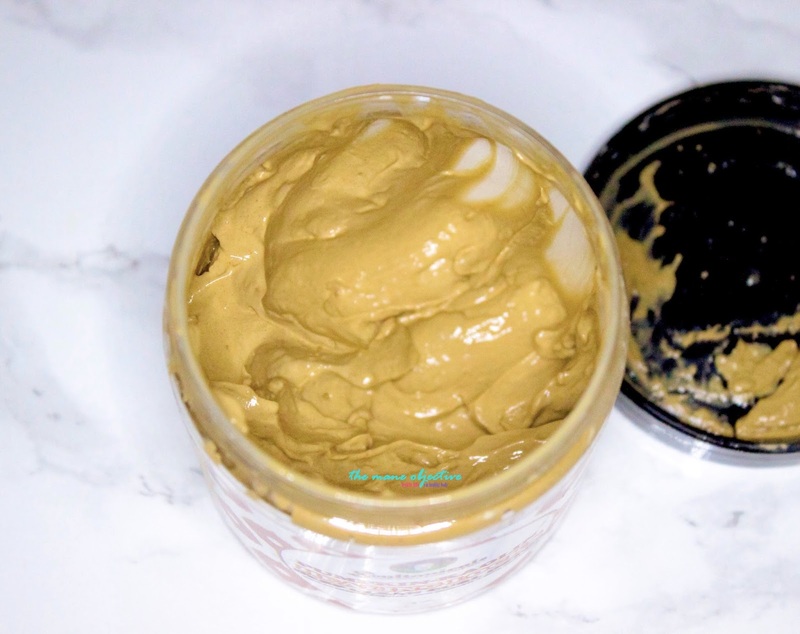 The consistency is also amazing - even though it's a clay mask, Pumpkin-Kaolin Curl Detox is is super easy to work into the hair. It's not impossibly thick, but it isn't runny either. But it does go right on to the hair without drama or fuss - which means wayyyyy less mess! But now let's talk about what you REALLY wanna know - how does it WORK? I'm about to abandon ship on my own mud rinse recipe. Pumpkin-Kaolin Curl Detox is LIT. I knew from the second I did my test patch that it was gonna be a lituation. With the Pumpkin-Kaolin Curl Detox on my strands, I had ZERO frizz and my curl clumpage was epic. But when I rinsed it out?! Ohhhhh when I rinsed it out! I did a lil' praise dance in my bathroom - because when I tell you that my curls looked EXACTLY the same?! Do you know how absolutely epic that is? Another bonus is the AMAZING way my scalp looked and felt post detox. Right before washing, my scalp was an itchy, flaky, psoriasis-y mess. Pumpkin-Kaolin Curl Detox helped me easily remove flakes, and left me with a clear, calm scalp. I can't wait to see if there are long-term benefits for scalp conditions like psoriasis, dandruff, and sebhorreic dermatitis. Oh and just a note here about use - because it's not a deep conditioner, you definitely still want to deep condition afterwards. I used Afrotastic Curl Elastic because, why not keep a good wash day going? There was only one small drawback, and it wasn't a drawback at all. Even though the Pumpkin-Kaolin Curl Detox touts itself as a cleanse for the hair, I couldn't quite use it as a cleanser. It doesn't have tons of slip, so I couldn't (and didn't want to) use it to detangle straight from dirty hair. I co-washed with Be Kekoa Bae Clean to hydrate, detangle, and gently cleanse my curls prior to using Pumpkin-Kaolin Curl Detox. To be honest, that was just fine with me...considering how dirty and tangled my curls were, I knew it would take a whole jar and then some just to knock the tangles out. So believe me when I say, it's all good. Plus, the good thing about Pumpkin-Kaolin Curl Detox is that it doesn't tangle the hair. Once I applied it to my detangled strands, I could easily finger comb it through my curls without snagging. So it doesn't have slip per-se; but it won't re-tangle your hair and helps maintain the curls in their detangled state. Even my frizzy front had to bow down. I'm in love with Pumpkin-Kaolin Curl Detox. Like, super in love. 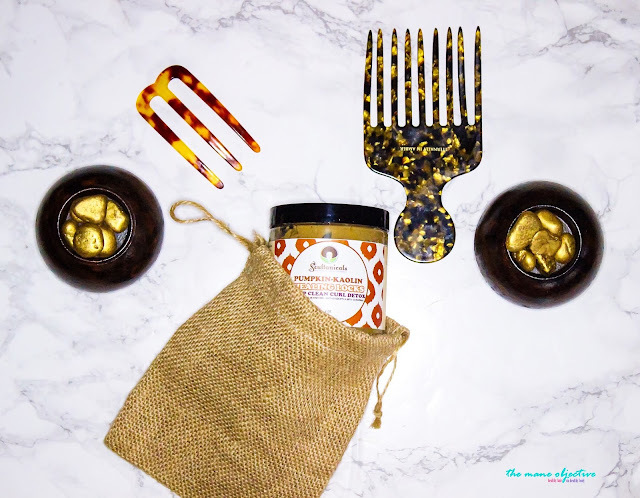 I love EVERYTHING it did for my hair and scalp - from clarifying and calming my scalp, to reducing frizz, and imparting crazy softness and shine. 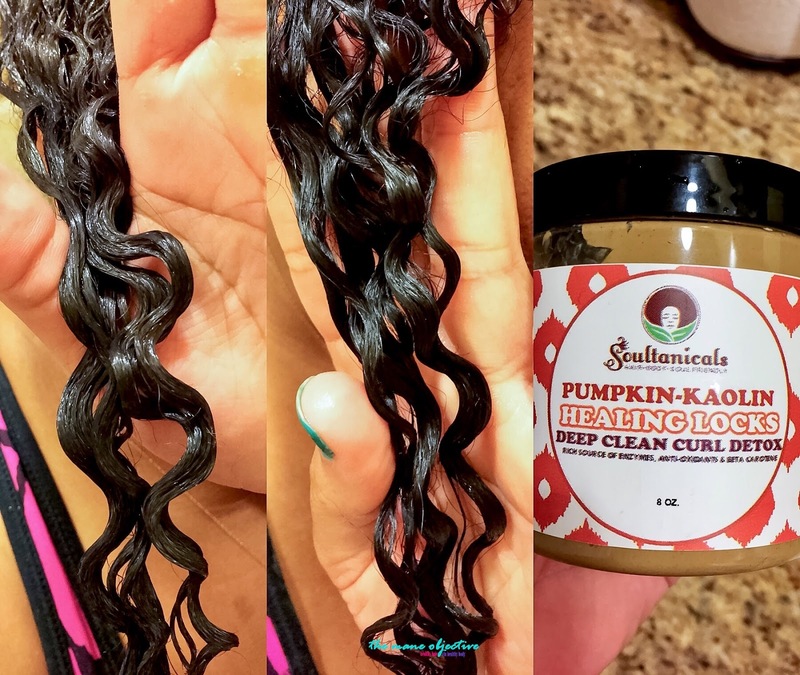 If your hair is dry, dull, and has difficult to define curls, I DEFINITELY recommend the Pumpkin-Kaolin Curl Detox. Your hair and scalp will thank you! Ha, I kinda already did. I ordered it during the Fan Friday sale a few weeks ago, and I'm thrilled that I have another one on the way. But during Black Friday, listen... I'm ON IT! Ayo, can a sista get a 16oz? Did you grab a Pumpkin-Kaolin Curl Detox during Fan Friday or as a part of the Coilements bundle? Or - are you gonna grab it this Black Friday? Let me know in the comments below! Hey Christina! 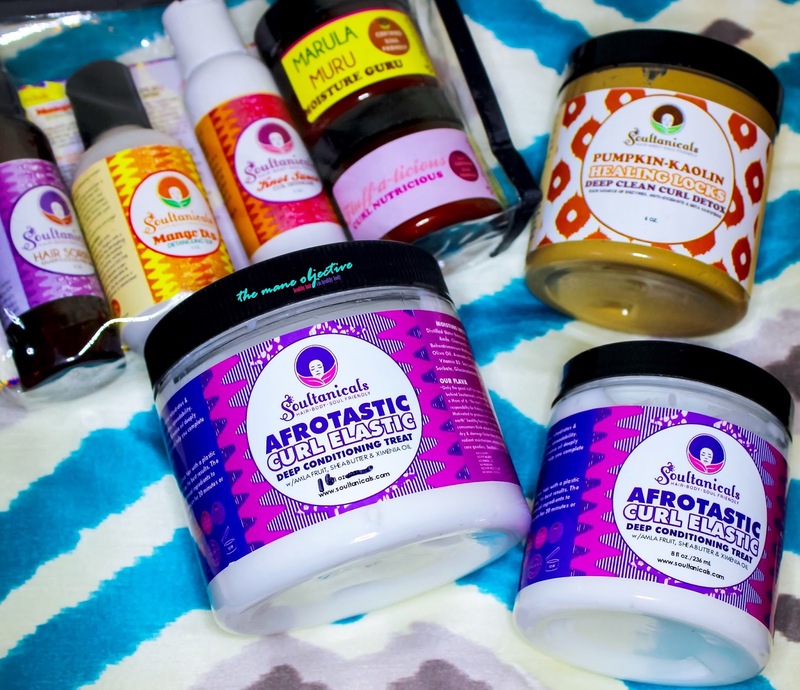 Are you planning to do a Black Friday natural hair breakdown sale? My wallet is hoping this review isn't so! 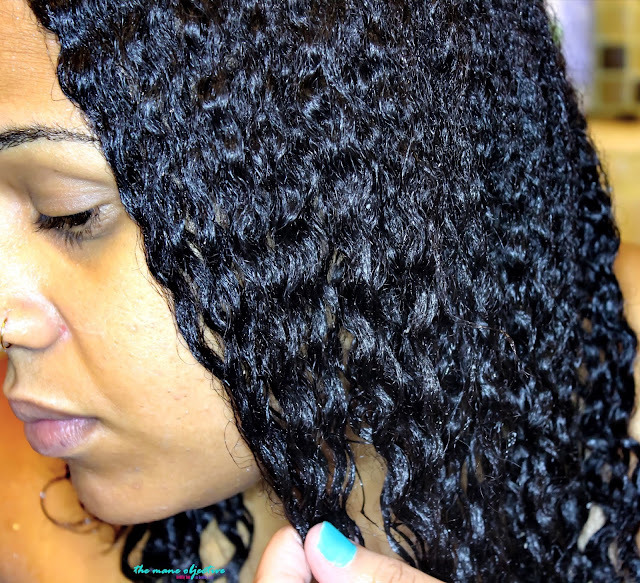 I love your clay rinse recipe and have been using it weekly since you posted it. I grabbed the Coilelements bundle but then grabbed two more jars when she had them on sale solo. Nice review. I can't wait to try it!!! MAN! I got the caramel solo too, I should have got like 8 of them lmao. I ordered it but am still waiting. My first clay wash product was their detox i ordered weeks ago and I fell in love even though i havent tried another to compare and am a deep conditioner junkie. My main gripe with the detox is how to rinse it out! Do you use shampoo/conditoner/ or just water?? I deep condition with mines so maybe I have to also deep condition with regular DC after. I'm excited to try the pumpkin clay once it finally arrives though. Like you said not with just the hair but the scalp feels less dry too. Did you apply your pumpkin clay to your scalp as well? It sure does! Way less. And for me, the key with using clays is to always deep condition after. Sometimes, they leave this coated or tacky feeling behind, even as they clean. I always DC post clay, no matter what! My wallet sho wishes I didn't see this review. I have been on the fence about the Fall bundle. This may push me over the fence. Don't feel bad! I just got my order where I purchased the clay, pumpkin scrub, and hair caramel... I should have ordered like 5 of each! Thanks for this post!! I was looking at ways in how to properly use this since I got mine with the Fall Coilements bundle. I am trying to figure out how to use all the goodies in the fall bundle in a single wash day but it sounds like this one would be good in place of shampoo and then deep conditioning after, right? Or would you recommend shampoo and a deep conditioner after using this? This stuff is amazing! I bought it last fall and didn't actually use it until April of this year. I had unbelievable definition and moisturization after I rinsed the pumpkin clay detox out. I am now a believe in clay masks.